Thinking of moving to Dallas? If you only know the city from TV shows like Dallas, Most Eligible Dallas or Big Rich Texas you may not have the most accurate picture of the city. 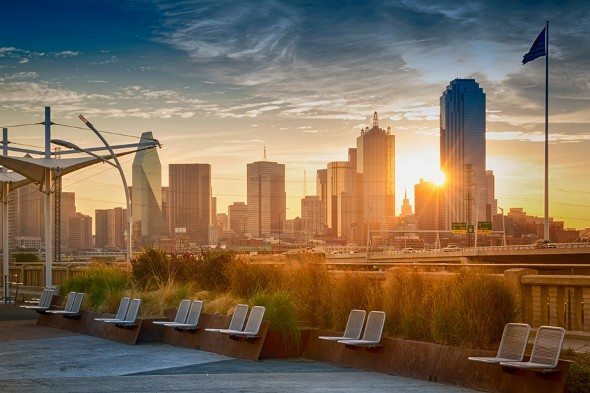 Here are 15 things to keep in mind before you moving to Dallas. Looking for a home loan? Compare mortgage rates here. 1. Dallas is not Fort Worth. Though Dallas and Fort Worth (and Arlington) are part of the same metro area they’re not the same city. Some Dallas residents even feel a sense of rivalry with Fort Worth so you may not want to talk up Dallas’ neighbors too enthusiastically after moving to Dallas. Dallasites also live in a broad swathe of suburbs, so check how long it will take you to get anywhere if you don’t want to find yourself arriving late. Don’t assume that anyone else who lives in Dallas is within a half-hour drive. 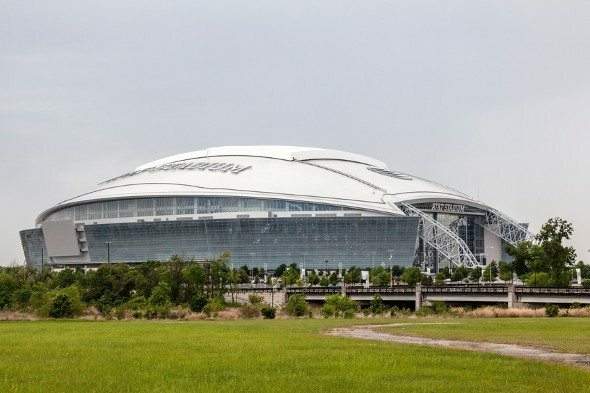 Though the Dallas Cowboys technically play in Arlington, the team is a big deal in Dallas. In fact, football at all age and skill levels is taken seriously. Ticket prices to a Cowboys game are steep but it may still be worth attending a game if only to get a slice of Dallas culture. 3. The Texas State Fair is a must-see. If you’ve never been to a state fair, moving to Dallas will give you quite an introduction. And if you’ve been to a state fair in another state you should still check out the State Fair of Texas in Dallas after moving there. Delicacies you can sample at the fair include a deep-fried bacon cheeseburger and a fried flan cake. 4. The traffic might surprise you. The freeways of Dallas can be a real time-sink. It’s rare to be able to get by on the city’s public transit alone and not have to use a car. If you’re moving to Dallas, chances are you’ll find yourself stuck in traffic. On the bright side, you can finally catch up on your favorite podcasts. 5. Choose your neighborhood carefully. Different Dallas neighborhoods have distinct characters. True, the same could be said of all cities, but in Dallas the stakes are higher because of how sprawling the city is and how heavy the traffic can be. That means that living in a neighborhood that’s not a great fit can leave you feeling trapped. It’s a good idea to read up on the different neighborhoods (and the property taxes associated with each) before you rent or buy a home in Dallas. 6. Dallas is a restaurant town. Dallas’ restaurant (and bar and club) scene is huge. There’s a lot of disposable income and diversity in the city, and those factors combine to support impressive culinary offerings. If dining out is in your budget we’re guessing you’ll be pleased with what’s available to you after moving to Dallas. Just be sure you’re not spending all your money on eating out. It’s a good idea to think about saving for retirement and there are many options for those who want help navigating the world of investing in Dallas. 7. The arts and culture scene is vibrant. That high level of disposable income we mentioned means there’s a lot of philanthropy and support for the arts in Dallas. 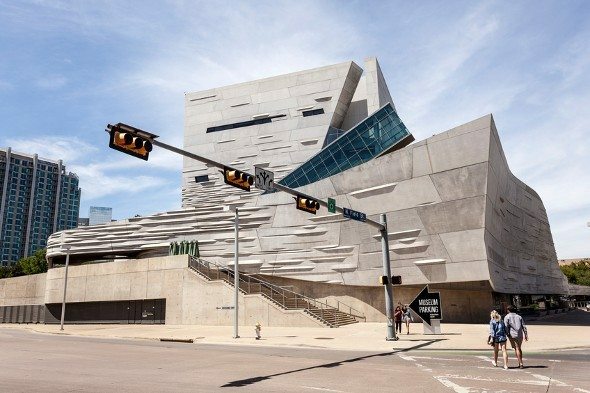 From small galleries to major museums, small live music venues to glitzy concert halls, Dallas has an arts and culture scene that would impress even a snobby New Yorker. 8. Dallas is big and getting bigger. Dallas is already one of the ten biggest cities in the country and its population continues to grow. According to the Dallas Morning News, “Dallas-Fort Worth gained 144,704 people from July 1, 2014, to July 1, 2015, bringing its population to more than 7.1 million.” In 2015 the city’s population growth topped that of all other Texas cities except Houston. 9. It’s a company town. Lots of companies have their headquarters or major offices in Dallas and there’s a lot of money awash in the city. Conspicuous consumption is a-OK and there are plenty of high-end options for those with the budgets for it. If working in corporate America isn’t your thing your job search after moving to Dallas might take a while. 10. Waits at popular spots can be long. When a place is popular for, say, barbecue or brunch, word gets out. That can lead to long waits for the Dallas hot spots. You may discover more under-the-radar favorites but if you want to check out the places everyone is talking about, prepare to wait and don’t arrive too hungry. Tornadoes and flooding are a reality in Dallas. If you’re planning to move to the city it’s worth reading up on some basic safety tips (don’t drive your car into pools of water during a flood, for example). If you’re a thrill-seeker, the possibility of witnessing a tornado might sound exciting but the events can be dangerous. It’s always a good idea to have an emergency plan in place for yourself and your loved ones. 12. Learn to love Tex-Mex. If you’re after Mexican food that’s like what you’ve had in Mexico or what you had growing up you can find it in Dallas, but you’ll also find plenty of Tex-Mex. If this style isn’t your thing you might want to try to learn to love it. It’s ubiquitous in Dallas. 13. Your car might get damaged in a hail storm. You thought tornadoes were the only weather event worth worrying about? Nope. Hail storms are a part of Dallas life, too. Covered parking is a highly coveted commodity in Dallas real estate and it’s worth keeping in mind if you’re house-hunting. 14. You’ll be glad you brought your formal wear. Dallasites like to get dressed up. 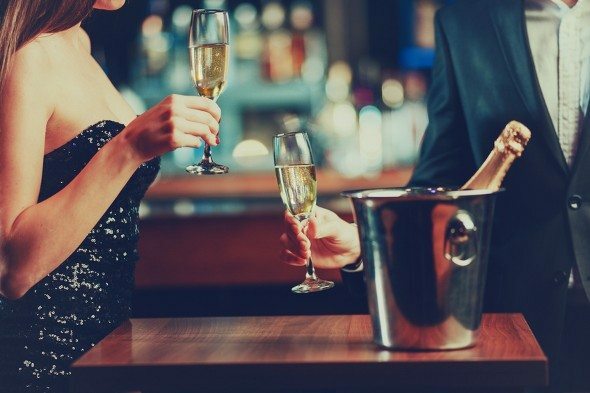 A fundraiser or party that may have required a knee-length dress and simple jewelry in another city will probably have some very glammed-up attendees in Dallas. If you love putting on your finery you’ll be right at home in Dallas. If not, well it might be time to shift your attitude and do some shopping! 15. Social networks are important. For such a big city, Dallas can have a small-town feel in that networks and who you know are important to getting ahead. 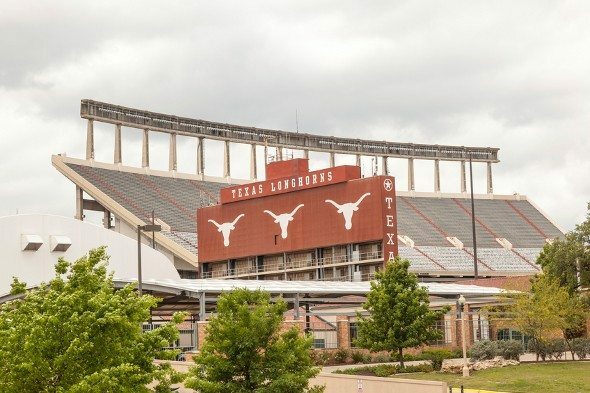 If you went to college in Texas you have a built-in network there. If not, you may have to find your niche in the city’s social system if you want to make it big after moving to Dallas. So you’ve decided you’re moving to Dallas. You probably want to see how your budget will be affected. SmartAsset’s Texas paycheck calculator can help you determine how living in the Lone Star State will impact your take-home pay.